Eugenie Drew AKA Esther D, was born to Clifford J. Drew and Carmelita R. King at the Holberton Hospital in St. John’s Antigua . She is the mother of four children, one girl and three boys. At the early age of four she became involved in church activities such as singing, reciting poems and acting. She migrated to the British Virgin Islands where she completed her Primary education and continued performing in church and school activities. At age eleven she returned to Antigua where she completed high school at the Ottos Comprehensive Secondary. Esther D has attained a degree in Early Childhood Education in the United States where she presently resides. She has functioned as Church Treasurer, Sunday School Teacher, Youth Leader and Women’s Leader. She presently hosts the programme Praise in Action on ufdvgospel radio Sundays through Thursdays from 7 pm EST/8pm DST. 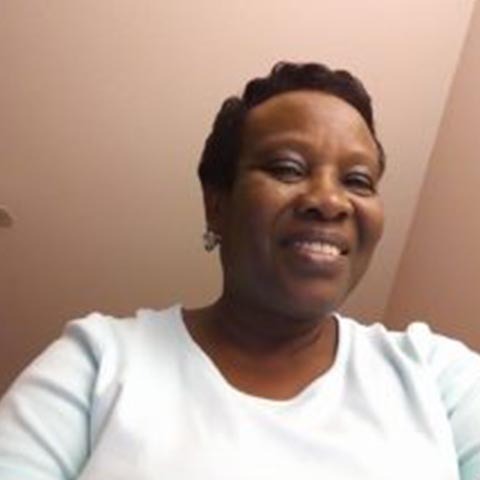 Esther D’s passion is to see souls come to the saving knowledge of Jesus Christ. Her ministry surrounds: Praise report, Prayers and Testimonies. It is her love for people, in particular the very young and most elderly that drives her. Esther D is an upbeat, self-motivated, caring and loving person.